While the destination for this popular out-and-back hike is the picturesque Lake Solitude, highlights are found all along the way. Take the enjoyable boat shuttle across Jenny Lake. At the boat dock, follow the signs up to Hidden Falls, Inspiration Point, and up into Cascade Canyon. After 3.5mi/5.7km, you reach the junction with the north and south forks of the canyon. 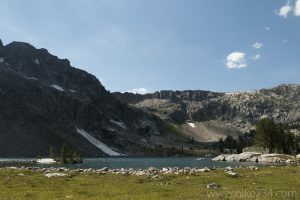 (See Forks of Cascade Canyon for detailed description.) Take a right up the trail into the north fork of Cascade Canyon. It spends some time in the trees then breaks out into wonderful open views within the glacially carved, U-shaped valley. The willow-lined stream is great moose habitat, and the rocks are home to pikas and marmots. The trail continues alternating between forest and open views, passing feeder streams and short cascades. Near the head of the valley, the trail levels out and Lake Solitude, nestled beneath cliff walls, comes into view. A rocky peninsula juts out into the lake and is a perfect spot for lunch. 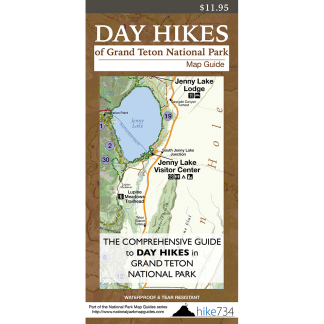 The return trip features a stunning view of Grand Teton as you head down from the lake.